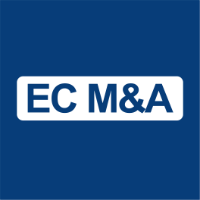 A co-founder and Managing Director of EC M&A, Hans is responsible for managing all aspects of the firm’s activities including originating, managing and closing transactions and overseeing client relationships. Before co-founding EC M&A, he helped to establish Deutsche Bank’s Mergers & Acquisitions group, advising leading global companies on cross-border and domestic transactions in Europe and the United States. Mr. Hornbostel, who is fluent in both English and German, holds an MBA in Finance from Columbia University ‘s Graduate School of Business and a BS, also in Finance, from Syracuse University.